We’ve all witnessed how a new “superfood” will burst onto the scene, get everyone talking and then slowly fade away as people begin to realize that the hype was based on over-exaggerated claims rather than hard facts. This understandably makes many of us a little leery whenever we hear the word “superfood,” but sometimes a food will come along that actually deserves the title– like the amazing little acai berry. Step one in reducing the impact of free radicals is by limiting your exposure to agents known to encourage their formation as much as possible. Step two is doing everything you can to support your own health. This includes taking care of yourself by eating a healthy diet, participating in regular exercise, taking care of your mental health and possibly following a detox regimen to eliminate toxins and reduce oxidative stress. Acai berry can be a wonderful component of your healthy lifestyle. Here’s what you need to know about acai berry, its benefits, and how it can complement your healthy lifestyle. Antioxidants work to neutralize free radicals and mitigate their potential to cause damage. Foods like acai berry that are rich in antioxidants are important components of a healthy diet. One of the benefits of antioxidant-rich nutrition is its cancer fighting potential. While any food or supplement that contains antioxidants theoretically has the potential to ward off the cellular changes that lead to cancer, some sources of antioxidants have proven to be more effective than others. Acai berry is one of them. Still, even though research is limited, there are promising studies suggesting acai may have a positive impact on metabolic health. Acai berries might not be a magical elixir for rapid weight loss and further studies are needed, but there is enough evidence to support the theory that acai can play an important role in weight management as part of a healthy diet. Just like the rest of your body, your skin undergoes changes as you mature. Acai has been promoted as an anti-aging miracle, but instead of dismissing this as hype, let’s take a look at the ways that acai berry can promote skin health and slow down the signs of aging. First, as already mentioned, acai is an antioxidant powerhouse. Every day, your skin comes in contact with environmental toxins, pollutants and UV exposure that lead to oxidative stress. Over time, this oxidative stress can cause premature aging and, in some cases, even cancer such as melanoma. (x) A diet rich in antioxidants like acai berry can help to repair or mitigate the damage caused by oxidative stress. Acai berries aren’t actually berries at all. The acai fruit contains a pit, similar to that of an olive or apricot, meaning that they are technically a drupe rather than a berry. However, their outward appearance is that of a typical berry. An acai berry cleanse has become a popular way of detoxing the body and kick-starting weight loss. To get the most out of an acai cleanse, it’s important to choose a quality acai powder and to avoid supplements that contain nothing more than fillers with only a small amount of actual acai powder or extract. While acai berry powder is a supplement, acai berries themselves are food that is safe for consumption in people without known allergies or sensitivities. Currently, the Food and Drug Administration does not have any formal dosage guidelines for acai powder. For consumers who are interested in acai supplements, there are numerous forms available. These include powder, juices, acai berry extract and acai berry tea. 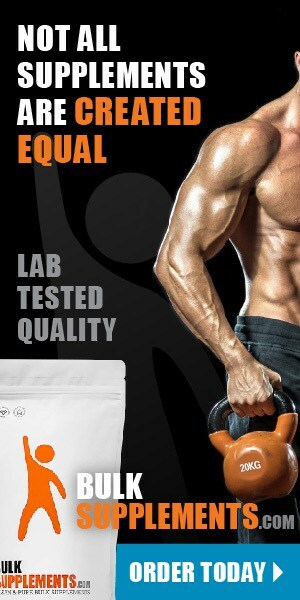 The appropriate dosage will depend upon a number of factors, including the form used and your general health. Always talk to your doctor before taking any supplements, even one like acai berry. If you have underlying health conditions or are taking medications, your doctor can help you determine an appropriate dosage for your individual needs. Acai berry is widely consumed in both its whole fruit form and as juice with no known side effects, although there is limited scientific research on the safety of acai berry supplements. (x) If you have never used an acai berry powder, it is best to start with a lower dose and then increase it once you’ve assessed your tolerance level. Acai berry is a powerful antioxidant with promising research to support its role in a healthy lifestyle. 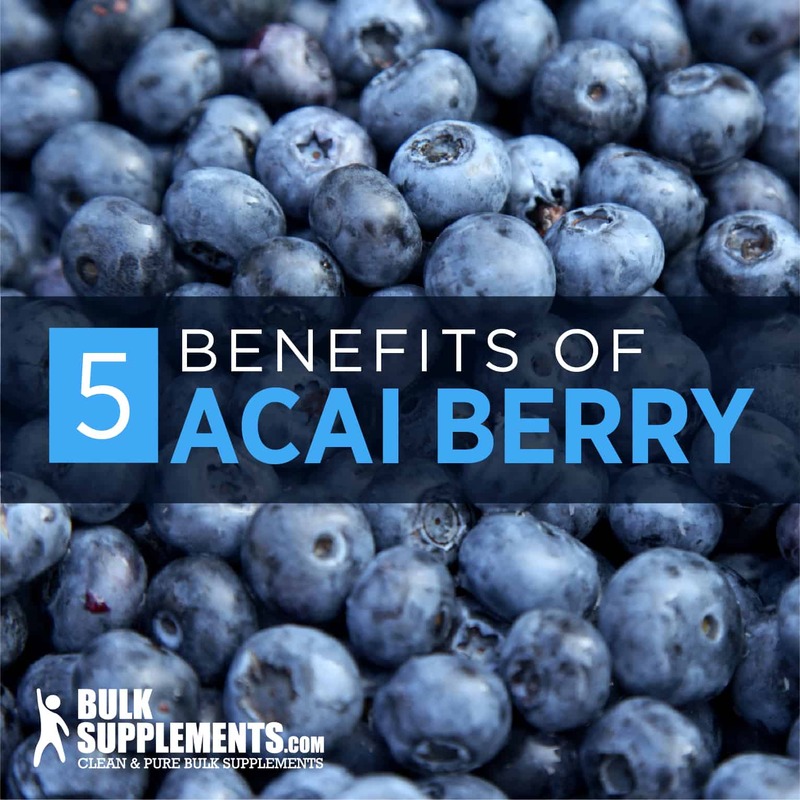 Whether you want to be the healthiest version of yourself or you want to protect yourself from heart disease, obesity and other chronic health issues, acai berry can be an important component of your healthy diet and lifestyle. Plus, if you’ve ever tried an acai bowl or smoothie, you know this powerful little fruit is as delicious as it is healthy. Try acai and say hello to your new favorite superfood! **The statements in this article have not been evaluated by the FDA. Supplements are not intended to diagnose, treat, cure, or prevent diseases- instead, they help maintain your long term health.